Lenovo PC owners are once again being hit by the bloatware bug in the form of some unsavory "optimisation software." First reported by Uber Gizmo, the Chinese company has been automatically downloading and installing Lenovo Service Engine (LSE) to computers without customer knowledge in order to optimize the PC in question. The same report goes on to say that the controversial piece of bloatware will remain even when the PC is wiped completely clean. It installs itself on Windows 7 or Windows 8 when the BIOS seeks out 'autochk.exe' before completely overwriting it on every single boot. 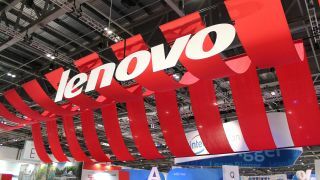 LSE also apparently collects user data before sending it on to a Lenovo server, however, the company is claiming that none of the data it collects is user identifiable. Anyone worried about the bloatware can uninstall the rootkit using a manually downloadable patch available here and there is a list of machines affected by the issue here, which was released by Lenovo earlier this year. Whilst it's too early to say how damaging this new bloatware is, it certainly seems as though Lenovo hasn't learned its lesson from the Superfish debacle that played out to a damaging end earlier on this year.